Description: , N.D.. Ephemera. 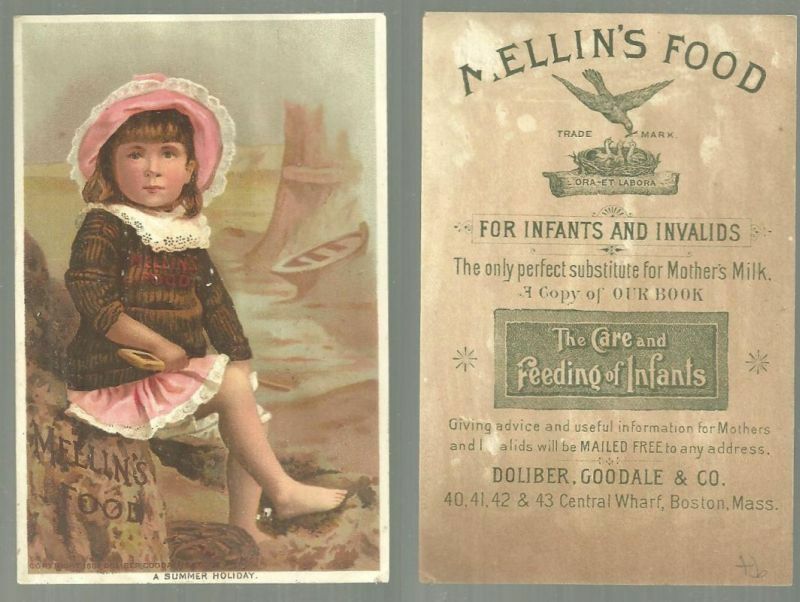 Very Good-; Victorian Trade Card for Mellin's Food for Infants and Invalids, Boston, Mass. On the Front of the card is a Young Girl at the Beach, A Summer Holiday. Back of card has information. Card is in good condition, wear at edges, yellowing on back, with small surface tears. Card is 4 3/4" high and 3" across.